A personal experience with twin pregnancy complications offered with a twist of science and broken down by trimesters for an easy and understandable read. Written by our friend Geodhe, M.D. and mother of twins. I've previously had the pleasure of writing an article on this site detailing just what it's really like to conceive twins with the aid of IVF, a.k.a the ever-detested euphemistic "unnatural" way. In a small aside, I dub my babies pure finest Astroturf when people get a little too nosey in the supermarket in combination with the word "natural" these days. I shall now go on to relate something of the risks and management of twin pregnancy, partially from a medical perspective, and partially from my own experience. Twin pregnancies aren't easy, most of the time. Forgive me for sounding surprisingly gloomy for such a determinedly irreverent soul, because the vast majority of twins are born at or near term with no long term complications, but it bears remembering that some are sadly not so lucky. Additionally, even relatively minor prematurity has a much bigger emotional impact that I ever though it could, until it was me tube feeding my tiny baby and crying my eyes out for three days straight because neither twin has the strength to even attempt breastfeeding and my milk failed to come in. My breasts may have LOOKED the E-cup business, but sadly, they should have been labeled "For recreational use only". But, I'm getting ahead of the story, again. Simply put, growing two babies at once in a space designed for only one is very, very hard work. If nothing else, it's often incredibly uncomfortable. The uterus gets much bigger than usual (for obvious reasons) measuring around term size by the early third trimester. Blood volume expands even more than in a singleton pregnancy to supply the extra baby/placenta, with uterine blood flow at only 25 weeks gestation already being equivalent to full term with a single baby and therefore your poor heart has to pump this enormous load. It's like running a race, at rest. Things are simply physically harder than singleton pregnancies, and therefore it is unsurprising that there are increased risks of complications. The medical risks were something which I was quite aware before even becoming pregnant, but gleefully disregarded as "Not THAT high". As many people in am infertility/loss situation are wont to do, I glossed over unpleasant words like "pre-term labor", "pre-eclampsia", "intrauterine growth retardation", "steroids" and "NICU", "septic work-up", "gavage feeding", "lumbar puncture" and the like when serenaded by the emotive aspect of getting ANY baby at all, let alone the miracle two at once. Im an utter eSET (elective single embryo transfer) hypocrite. I can see why it would have been the safest thing for me to do, but I didn't do it. Not by my third IVF, anyway. Please don't hit me, or to be more accurate, risk bodily harm to yourself by thumping your computer screen repeatedly if I say that I found the first trimester easy. Anxiety was the only symptom I appeared to have of pregnancy, albeit unusually rabid in intensity. As soon as I knew I could see a fetal heart beat (or two!) on transabdominal ultrasound scan, I was skulking into my own radiology department and borrowing the machines for a quick self-scanned fix of "Yep Still Alive!" on at least a once a week basis. Sometimes more often. If you've just found out you're having twins and you're reading this with your head firmly resting over an emesis basin (or your toilet bowl, should you actually take a PC in the loo), please don't send me emails of hate for lacking the Spew Gene. Read on. I thought multiple pregnancy was going to be an utter doddle. I'd be in heels still working at 38 weeks when I gently started contracting. My skin would be blemish-free. My hair would be lush. I would wear make-up every day. I wouldn't put on weight ANYWHERE apart from my beautifully un-stretch-marked belly. No twin pregnancy complications for me, no sir. General stuff to be thinking about in the first trimester. The main reason for this advice is that the easiest time to tell chorionicity is when you are still in the first trimester. By the second trimester, it can be harder to tell if your twins are identical or not (unless the genders are different), and this can alter the monitoring and risk management later on. DCDA or di/di (diamniotic / dichorionic) - These twins are usually fraternal (absolutely fraternal if different genders), but some will actually prove to be identical twins where the embryo has split very early in development (about 1/3 of identicals may be DCDA). 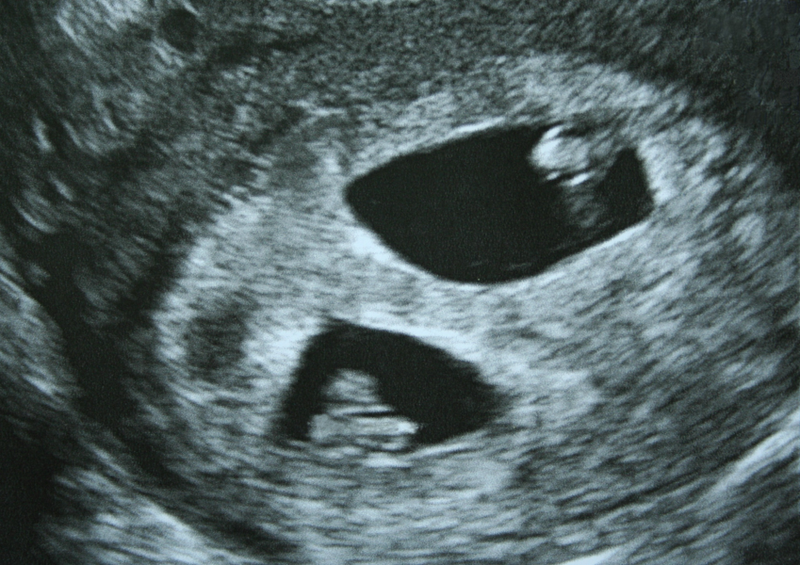 First trimester scans will show two embryos in two separate sacs. The dividing membrane between the twins is thick, being made up of two layers of chorion and two layers of amnion (one from each twin). This thick separation gives rise to the so-called lambda sign, where there is a wedge shaped piece of tissue between the edges of sacs of the twins on ultrasound. The circulations and placentas of the babies are separate, even though the placentas may push up next to each other later in pregnancy. 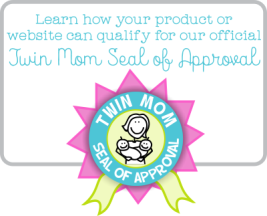 DCDA twins generally carry the lowest risks of all the subtypes of twin pregnancy. MCDA or mo/di (monochorionic / diamniotic) - These twins are always identical. They are within a shared chorion, but have separate amniotic sacs. This means that there is a dividing membrane between the twins, but it is thinner as it is made up of two layers of amnion only. A special risk to this type of multiple pregnancy is where the placentas share vessels, which can be unbalanced in flow so that one twin receives excessive blood supply, and one too little. This is a condition called TTTS (twin to twin transfusion syndrome) and it can occur in up to 15% of MCDA twins. 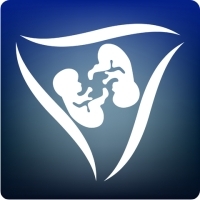 MCDA twins will be monitored via regular ultrasounds for signs that TTTS is developing. MCDA are intermediate risk twin pregnancies. MCMA or mo/mo (monochorionic / monoamniotic) - These twins are identical twins that divided relatively late, and thus both babies share the one amniotic sac. These are the highest risk form of twin pregnancy due to the risk of cord entanglement with two babies in one sac, as well as the rarest. Your obstetrician may discuss the need for extra vitamin supplementation, especially of folate, iron and calcium due to the increased demands of carrying multiples and that you can expect to gain more weight than with carrying a single baby. You may also be given advice regarding work depending on the nature of your job, especially considering finishing earlier than with a singleton pregnancy. Additionally, your obstetrician may discuss the need for increased frequency of visits, as well as general education regarding the increased risks of multiples (most commonly pre term labor and delivery, gestational diabetes, pregnancy induced hypertension and pre-eclampsia in the mother, and intrauterine growth retardation and the complications of prematurity in the babies). 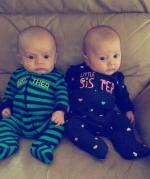 My twins were DCDA, and my obstetrician discussed all of the above items. I blithely continued to insist that I felt I would be able to continue in my very active job until term. No, I didn't even stay pregnant that long. My problem was that pregnancy with multiples is easy in the first trimester while they're still less than 2 inches long each (if you don't get morning sickness). It's a different kettle of fish entirely when they're over five pounds each and YOU weigh over sixty more than you started out.